NCBC Med-Laser | Skin Rejuvenation Clinic in Toronto | 20% off Summer Skin Special! 20% off Summer Skin Special! 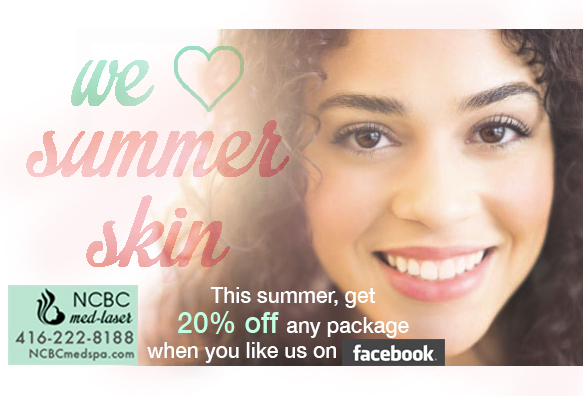 We love summer skin so much that by liking our Facebook page, you get 20% off any package! From laser hair removal to micropeels, we have everything you need so you can look forward to beautiful radiant skin as you look forward to beautiful sunny days.